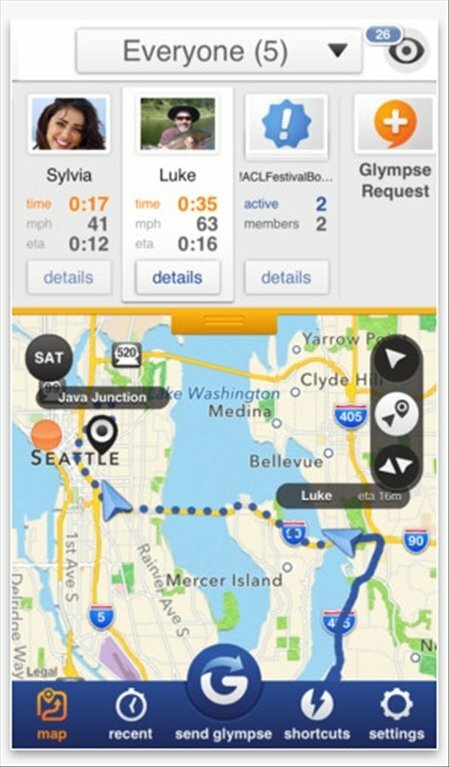 Glympse is an application for iOS mobile devices that allows you to inform your contacts in real time about your position and the route you are following, which is very useful when you are running late for a meeting or when you want to show your friends where you are. 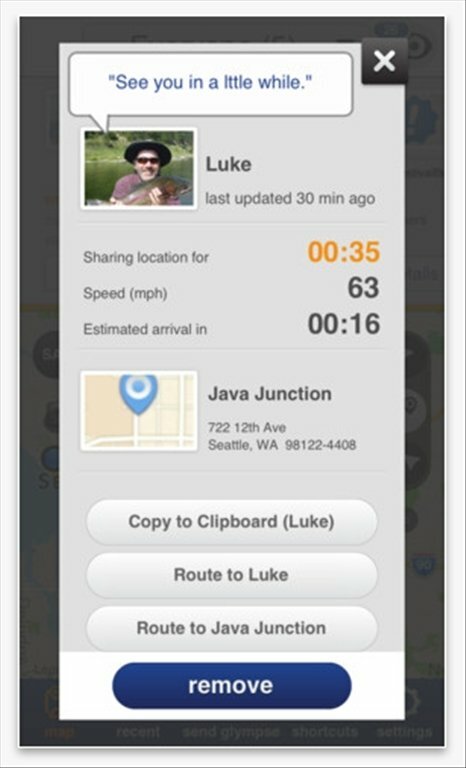 The easiest way to share your location in a secure manner. 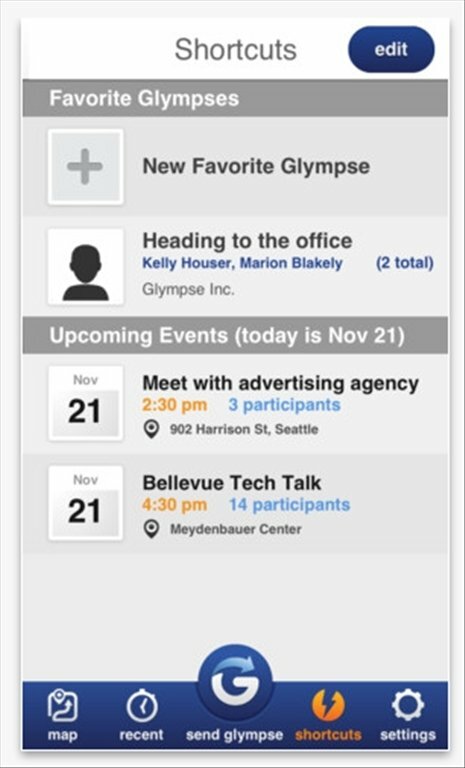 Choose the length of your message or Glympse and send it to any contact on your list through different systems. They will only need an Internet connection to verify the information. Send your position and route by SMS, email, Facebook or Twitter. 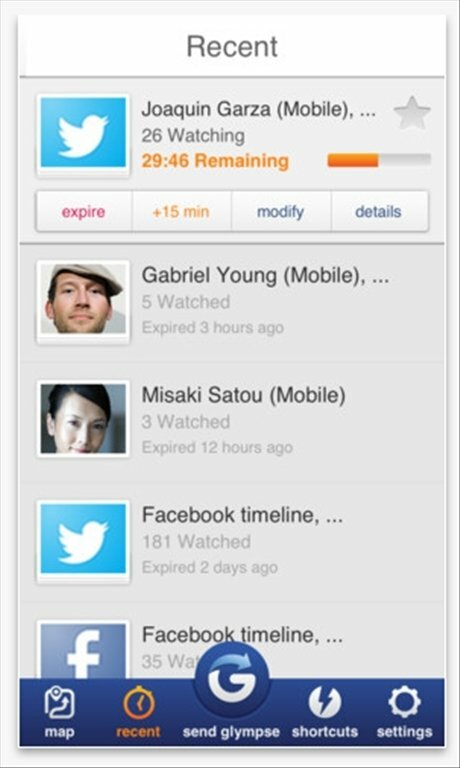 Establish the duration of the monitoring process. Valid anywhere with data coverage. 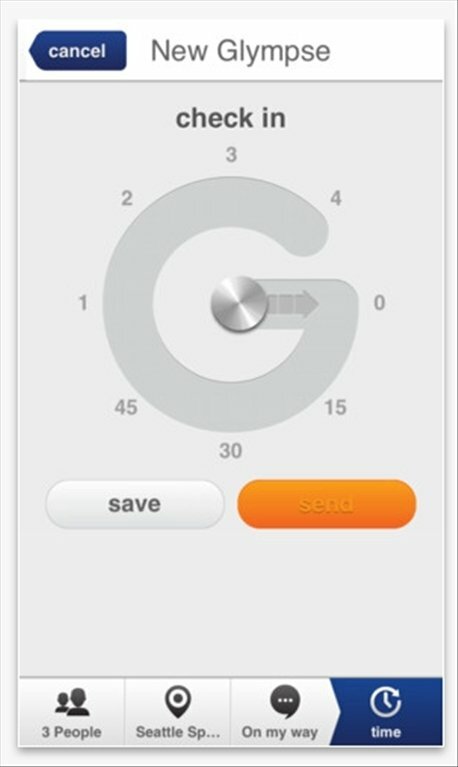 Download Glympse free for iPhone and inform about your position and route with accuracy.